Time and time again flowers have found their way into the minds of poets and writers from all over the world. Be it the quiet beauty of a single rose or a field covered in a wild bouquet, flowers have inspired all ranges of emotions in mankind. There is something about their velvety textures and intoxicating scents that conjure up the keenest of memories. A person can go their whole life without thinking of an event, small or large, and have it brought back in an instant with a single flower. These small, fragile, little things can invoke such powerful thoughts and feelings. It is no wonder world renowned and smaller scale writers alike incorporate them in their works. Examples of poems based on flowers that invoked thoughts and feelings. The writer Raymond A. Foss has a poem called, “A Patience Flower”, and while it is short, it summarizes how patiently a person waits for their flower to bloom. Poignant in its brevity, describing the act of tending to the flower through the seasons in the hope and expectation to see what it will look like when it blooms illustrates how something so small can teach a person how to be patient. They can invoke the imagination with fanciful thoughts about why they grow as they do, such as in Rabindranath Tagore’s poem “The Flower-School”. In the poem he describes how he imagines flowers go to school in the earth and when they pop up and bloom after the stormy season that they are doing so to make their mother in the sky proud, just as we strive to make our own mothers proud of us. Another well known writer, Robert Frost, uses flowers in his works on more than one occasion. One piece that is quite quaint, “Asking for Roses”, spins a short tale of two lovers visiting and abandoned house that is overrun with roses, and in order for them to pick some they beseech the spirit that dwells there. Be it illustrating how they teach us little lessons, or how the invoke our imagination, flowers have found themselves the subject of many a poem. Presenting your beloved with a flower and poem can help create a beautiful memory, easily conjured up by the site of that same flower type for the rest of their life. Comparing your dear one to the flower that is idolized in some poetry, such as William Wordsworth’s “To the Daisy”, is another way in which flowers go hand in hand with poetry. In the simple poem, he describes how powerfully inspiring the simple beauty of a daisy is to him. Poems in which the flowers are used to embody more than what they are. As the subject of the poems, flowers become the embodiment of hope, love, and those both dear and sorrowful. Many writers use them to give a visual embodiment to intangible emotions. Sometimes they take the place of humans in tales that bring them to life, such as Robert Frost’s “Wind and Window Flower”. A poem in which a flower in a wind attempt to court and carry off a flower that is potted at a window, but it fails to get the flower and moves on. Sometimes the poem is entirely about a flower that is spoken of as if it were a person or ideal, other times flowers are used as symbols, not unlike the Victorian practice of floriography. 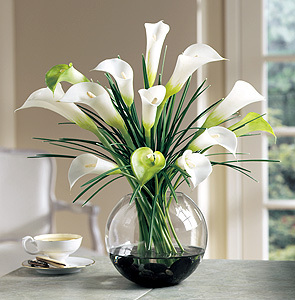 A white rose can infer purity and chastity, or cala lilies can be used for a funereal theme. At times in poems there is a person who is holding a certain type of flower and what they do with it in the poem holds meaning beyond the simple action. How flowers are universal and versatile in meaning. At times the flowers are used to represent one thing at the beginning of the poem and that idea grows into something that is not a flower at all. The writer will use the beginning imagery of the flower to help invoke a mindset and help the reader visualize its transformation into something else. 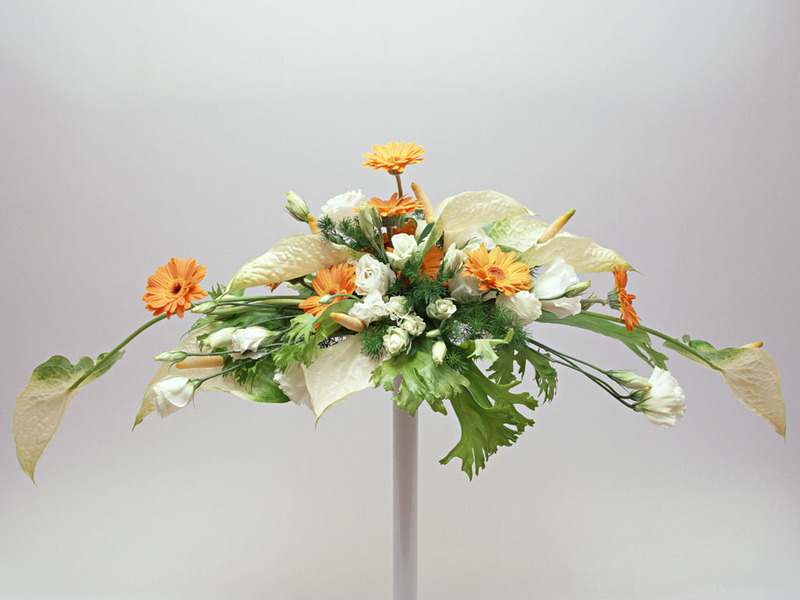 Flowers are used for this because they are commonly recognized. From desert to mountain top, the world blooms with flowers. Their presence in every culture makes them universal icons to help create or invoke thoughts and emotions. While each culture may have different folklore and tradition, artists from all over the world still use flowers in their works in ways that just about anyone can understand. When a poet writes about giving a token of love to the one he admires, it matters not if it is a rose or a daisy, the meaning behind the actions are understood. 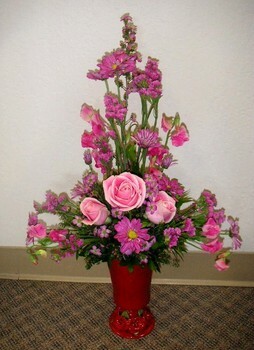 Even children often display the concept of gifting flowers to those they love, or as a way to express emotion. How poetry and flowers can be a powerful combination. When a person lacks the words to say which fit the way the feel and what they want to express, poetry can help them find a way. If a bashful suitor needs help to woo the object of their desire, they can enlist the use of flowers and poetry to convey their feelings. Either written or recited and paired with a corresponding flower or flowers, poetry helps to invoke new depths of emotions that flowers alone can stir. Even beyond the realms of wooing, flowers and poetry are often incorporated into events of celebration, romance, and even at grief-filled gatherings. 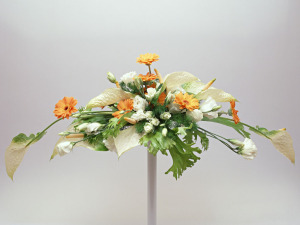 Many weddings incorporate beautiful displays that include flowers and romantic poetry is often recited at some point during or preceding the ceremony. The same applies to funerals, with wreathes of flowers gathered around while people speak of the parted, often using poetry to help express their sorrow. Outside of wedding and funerals, flowers are often part of holidays and solstice celebrations, at which poetry is shared or inspired. They are a pair that has endured through time.